Because of their versatile styles and diverse uses, folding boxes are the type of boxes very highly sought after among the manufacturers of different retail products. These custom folding boxes not only serve the purpose of packaging, shipping and protecting case-sensitive retail products and FMCG, but they are also hilarious tools for branding and marketing. Many companies get their company name, tagline, logo, product name and a lot of other details printed on these boxes to make the maximum possible impact. 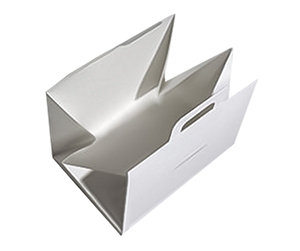 These compact and affordable folding boxes are best known for their durability and flexibility. From auto-parts to retail products, a lot of products can be packed and safely shipped through these boxes. Why Get Custom Folding Boxes? Custom folding boxes are the devices of persuasion. These boxes are used to market the brand and turn prospects into repeat customers. However, folding boxes are shipped to the target destinations in a flat condition, and this makes them different from another type of boxes. Due to the fact that these custom boxes can be shipped out flat, their owners save a lot of money on shipping. As compared to any other type of boxes, a considerably bigger number of these custom folding boxes can be adjusted in a big corrugated container. Once the boxes arrive at the target destination, the people receiving these boxes can easily restore them to the original shape and structure. However, this quality of folding boxes is not the only reason why they are so widely demanded. As it has been mentioned, a box is not only used as a tool for packaging, shipping, protecting, preserving and displaying goods, but it is also used to increase the shelf life and most importantly, to reach out to the target customers in a very impressive and appealing way. What is in a Personalized Folding Box? Personalized folding boxes are called so because of the top to bottom customizations made to these boxes. That is, from materials to choice of color and graphics to structure to finish, you choose everything about your custom boxes and you get the kind of custom folding boxes that you want. First of all, let us have a look at various materials used in making of these customized boxes. 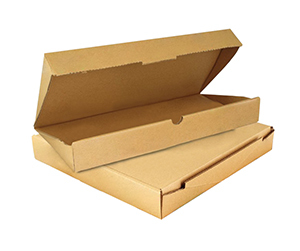 These materials include, but are not limited to, corrugated fiberboard material, Kraft, Bux Board and Cardstock etc. After material, it trickles down to the shape of the boxes; from straight tuck boxes to reverse and auto-bottom there are many variations available. As far as color and design is concerned, there is not one option, but two or more to choose from. PackagingBlue.Com offers as many as two color models to choose from CMYK and Pantone. Apart from these colors, we offer stunning graphics-related options. Our high-quality offset printing services make us stand out from the crowd. Last, but not the least, come the options pertaining to finish. We offer gold and silver foil as well as gloss and matte finish. Apart from this, for the safety of your products, you can get a spot or full UV or aqueous coating. Embossing raised ink, debossing, PVC sheet, die cut window pane and perforation are only a few other options to mention. Why Get Customized Folding Boxes from PackagingBlue.Com? PackagingBlue.Com is one of the leading manufacturers of packaging boxes. We offer these boxes at a very affordable rate and zero shipping charges. The custom folding boxes that we make are shipped to the target destinations within maximum 3 to 4 business days. Yes, this is how early you receive your order. We follow 100% eco-friendly packaging services and the materials that we use are biodegradable. We make sure that we use only those materials which pose no harm to kids and no cruelty to animals. Still got some questions in mind? No problem, if you want to learn more about our custom folding box packaging, please contact our 24/7 customer support team right now. In addition to above information, these boxes can be unfolded to contain goods in them that are great for packing products that are usually labeled as Fast moving consumer goods (FMCG) by experts. These products include food products like pizza, hamburger, fried chicken, etc. and many others. Professional designers can unleash their creativity and adopt these kinds of packs for many other various products. These and all such other boxes can be delivered to you at a fraction of the cost that you will pay to other companies. We at packagingBlue.com are dedicated to providing our products and services at very affordable prices, and our products are delivered to you with free shipping right at your doorstep.